PRKAR2A antibody recognizes PRKAR2A, also known as PKR2 or protein kinase A RII-alpha subunit. Mouse anti Human PRKAR2A antibody recognizes PRKAR2A, also known as PKR2, cAMP-dependent protein kinase regulatory subunit RII alpha and protein kinase A RII-alpha subunit. cAMP is a signaling molecule important for a variety of cellular functions. cAMP exerts its effects by activating the cAMP-dependent protein kinase, which transduces the signal through phosphorylation of different target proteins. The inactive kinase holoenzyme is a tetramer composed of two regulatory and two catalytic subunits. cAMP causes the dissociation of the inactive holoenzyme into a dimer of regulatory subunits bound to four cAMP and two free monomeric catalytic subunits. Four different regulatory subunits and three catalytic subunits have been identified in humans. The protein encoded by PRKAR2A is one of the regulatory subunits. This subunit can be phosphorylated by the activated catalytic subunit. It may interact with various A-kinase anchoring proteins and determine the subcellular localization of cAMP-dependent protein kinase. This subunit has been shown to regulate protein transport from endosomes to the Golgi apparatus and further to the endoplasmic reticulum (ER) (provided by RefSeq, Jul 2008). 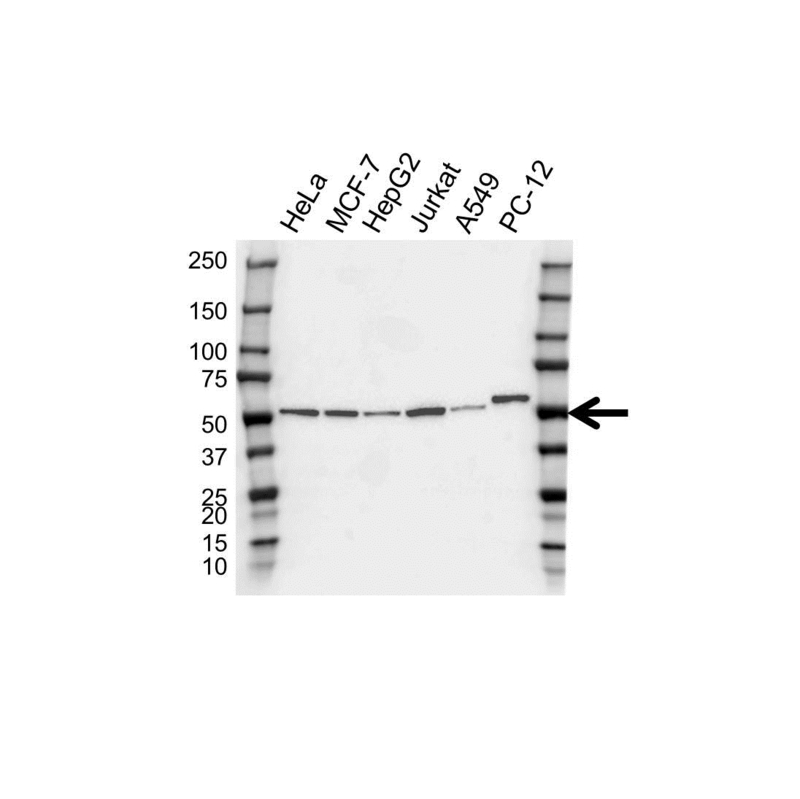 Mouse anti Human PRKAR2A antibody detects a band of 51 kDa. The antibody has been extensively validated for western blotting using whole cell lysates.